7 March 2016 — There has been over 22,400 arrests for cannabis possession in Canada since Justin Trudeau became Prime Minister. I derive that number from the last reported rate of cannabis possession arrests in Canada of 160 per day, or one every 9 minutes. There is no indication that the rate of arrests has slowed since Trudeau took over, with many police forces explicitly saying they are continuing to enforce the possession laws as strictly as ever. Bill Blair agrees, saying he wants pot busts to continue. 16 March 2016 — So appalled and embarrassed was staff prosecutor Natalya Poklonskaya by the U.S. supported right-wing pro-Nazi demonstrators in Kiev that she offered her services to the Crimean office, then a part of the Ukraine. She had had about a dozen years experience in the Ukraine's prosecutors office but she offered to perform even clerical work just to get out of Kiev. 20 March 2016 — I don’t know Aleksandr Prochorenko. I know nothing of his background or what his dreams and hopes were for the future. But I do know that he’s a hero who will never be forgotten, and that the cause for which he sacrificed his life is a righteous one. Wisdom is a result of a happy marriage between intelligence and experience. —Carl Dow, Editor and Publisher, True North Perspective. Paying attention to the U.S. presidential elections has moved me from amusement, to scorn, and from scorn to a sense of horror. Clinton, Trump, and Cruz apparently will say anything to win votes. Working backwards, Cruz is a narrow religious fanatic with enough presence of mind to make an apparently rational bid for the right wing vote — at least right wing in today's dismal context. Trump is a knowing liar who prompts amusement by crude character assassinations of his opponents. He's not clinically psychopathic. But if you listen to his sound carefully and carefully study his face and body language he reveals his profound contempt for what he perceives to be his corner of the electorate. He almost choked on his words when he said with a false smile that bordered a grimace, "I love poor people." Clinton has more than the proverbial loose screw. She behaves as if everything that pins down her mind has gone missing. Video after video by mainstream television cameras reveal a steady stream of lies on almost every subject. Billy Crystal exercised considerable restraint when he referred to a pathologically dishonest and possibly unbalanced Hillary Clinton. Please don't take "unbalanced" lightly. Google Hillary Clinton's lies and you'll see videos that expose Clinton. It appears that she's in a serious disconnect with reality when she pursues a line of argument that contradicts videos of herself talking the opposite to what she claims. Hanging on to the thread of Adolph Hitler's maxim that if you tell a lie often enough people will believe it, the videos show that she's lying again and again. In the face of overwhelming evidence that she's lying, her handlers should arrange for her to cease and desist. The lie that underlines most clearly for me that she's out of control is her contention that on a flight to Kosovo she landed under sniper fire and had to flee the plane and airport. But mainstream video cameras were there and revealed a picnic-like atmosphere during which a girl gave her a bouquet of flowers. Despite the video evidence to the contrary Clinton persists in saying she was under sniper fire. This, with all the other video contradictions, suggests a seriously disturbed mind. The only hope for the United States of America in the current presidential election campaign is that of Bernie Sanders. He has a long experience as a politician who has talked and acted in the interests of the 90 per cent. The American military has a high sense of embarrassment as the Russian air force has shown the former how to focus, aim, and fire. Last year, Russian foreign minister Lavrov asked in public what the Americans were doing in Syria. He said the Americans, in the name of fighting ISIS, had dropped enough bombs to blow Syria off the map. Yet ISIS continued to grow in numbers, in wealth, and occupied territory. Exasperated, Russia, at the invitation of the al Assad legitimate government of Syria, on 30 September 2015, launched an aerial attack on ISIS that within a few months, together with Syrian ground troops, have seriously knocked the wind out the terrorists and put them on the run. Former U.S. Marine combat veteran, Gordon Duff, has confirmed what we've long suspected. The intellectual thugs who have seized control of Washington, and who obviously are also divorced from reality, had planned to use ISIS to effect regime change in Syria. In bizarre refusal to acknowledge their failure they still hope to achieve their goal by funding and arming a spent force. The Pentagon already has admitted to spending a half-billion dollars on opposition troops that resulted in "four or five" men with boots on the ground. Their cruel stupidity has killed tens of thousands and created millions of refugees. Plain and simple, those who control Washington are guilty of war crimes. Now you’re in the proper frame of mind to consider the Trans-Pacific Partnership (TPP). That’s the instrument that the Conservatives negotiated and the Liberals have yet to ratify. 14 January 2015 — Canada is the most-sued country under the North American Free Trade Agreement and a majority of the disputes involve investors challenging the country’s environmental laws, according to a new study. There are enough recommendations and ideas in the recent report assessing federal transport policies and regulations to keep Transport Minister Marc Garneau busy for years. However the report’s theme of assessing the transportation system in light of its importance to the country’s future prosperity will likely become lost in the debates over its more 60 detailed recommendations on everything from railway service to the regulatory effectiveness of the Canadian Transportation Agency. 14 March 2016 — The global temperature in February smashed monthly records to become the warmest month in more than a century of recordkeeping. According to Nasa data, global surface temperatures across land and ocean in February were 1.35°C warmer than the average temperature for that month, measured from the 1951-1980 baseline. The previous record was set in January, which was 1.14°C warmer than the baseline average for that month. 23 March 2016 — Three years after an eruption of 10,000 barrels of melted bitumen contaminated the boreal forest and groundwater near Cold Lake, Alberta, the provincial energy regulator has now officially blamed hydraulic fracturing, or the pressurized injection of steam into the ground for fracturing nearby rock. The bitumen blowout occurred sometime between May and June 2013 at Canadian Natural Resources Ltd.'s Cold Lake project, an operation that uses steam injection to melt bitumen and bring it to the surface. In this case, the pressure from the steam cracked rock between different formations, allowing melted bitumen to find natural fractures and flow to the surface at five different locations, including under a lake. In some places, the bitumen erupted through fissures in the ground as long as 159 metres deep. • a solution to help households affected by the expiry of federal operating agreements. Sympathy, compassion, or mercy . . .
1 April 2016 — In a 2015 article entitled “Make it happen”, I discussed two important topics: gender equality and the right to die with dignity. My readers really appreciated the article and I told them I would revisit the subject of “dying with dignity” at a later date. The time has come as the government is set to have a law regarding doctor-assisted death to eligible patients set up across Canada by early June. This would permit a physician to assist a patient who requests an end to his life, providing he is mentally competent when the request is made and it is proven the patient has a “grievous and irremediable” medical situation that imposes intolerable suffering. This would also include terminal conditions where no hope of recovery is possible. 23 March 2016 — The official name of a new multi-million pound research vessel could be the RRS Boaty McBoatface after the internet was asked for its ideas. When the Natural Environment Research Council (NERC) opened up suggestions to name their new ship, little could they have predicted what the frontrunner would be. of professional sports teams want? Reports from Florida in February, as the Toronto Blue Jays were about to begin spring training for the 2016 season, claimed that the Blue Jays 35-year-old slugger, Jose Bautista, whose contract expires at the end of this upcoming season, wants a new six-year deal that will pay him about $30 million per season for a total commitment of $180 million. He is set to earn $14 million in 2016. Another heavy hitting Blue Jay, Edwin Encarnacion who is now 33, is also entering the final year of his contract which pays him $10 million this season. He too wants a new multi-year deal for top dollar. Blue Jays President Mark Shapiro has maintained that the club will not negotiate with its players through the media but he has indicated that the team would like to retain both players past this season. 1. 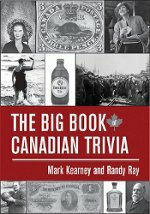 Which city had a bigger population in 1901 – Saint John, N.B. or Vancouver, B.C.? 2. In what year was the Nunavut Territory established? The history of Canada covers the period from the arrival of Paleo-Indians thousands of years ago to the present day. Canada has been inhabited for millennia by distinctive groups of Aboriginal peoples, with distinct trade networks, spiritual beliefs, and social hierarchies. Some of these civilizations had long faded by the time of the first European arrivals and have been discovered through archaeological investigations. Various treaties and laws have been enacted between European settlers and the Aboriginal populations. Beginning in the late 15th century French and British expeditions explored, and later settled, along the Atlantic Coast. France ceded nearly all of its colonies in North America to Britain in 1763 after the Seven Years' War. In 1867, with the union of three British North American colonies through Confederation, Canada was formed as a federal dominion of four provinces. This began an accretion of provinces and territories and a process of increasing autonomy from the British Empire, which became official with the Statute of Westminster of 1931 and completed in the Canada Act of 1982, which severed the vestiges of legal dependence on the British parliament. ISIS: The crisis started in 632 a.d. Following almost a year of research, Al Emid's fifth book entitled What You Need to Know About ISIS – Terror, Religion, War and the Caliphate, set for release by Quidne Press in Spring, goes behind the news about ISIS and examines what might lie ahead. History and historic watersheds do not just happen. A sudden dramatic incident can appear devoid of a clear cause-and-effect relationship with events preceding it although it triggers many events that follow it. Understanding history — truly understanding history — requires differentiating between an immediate trigger that ‘lights’ the proverbial match setting everything aflame and events that subsequently evolved into a tragedy. Politics, the family business of the Clintons, has been very good to them, as they have raised between $2 billion and $3 billion since 1992. My Turn - buy at Amazon! 29 February 2016 — Once established, however, politics became the family’s business, and it’s been very good to them. A 2014 Wall Street Journal analysis showed that the Clintons have raised between $2 billion and $3 billion since 1992—more than three-quarters of it from industry sources—for their campaigns, philanthropies, and themselves. At the top of the list of corporate donors were financial firms, and highest up among them was Goldman Sachs. Citigroup and JP Morgan Chase gave generously as well. Not far behind Wall Street were communications/electronics firms and then, that perennial bedrock of Democratic Party support, lawyers and lobbyists. Those three sectors alone contributed more than ten times as much as organized labor, which pitched in just $41 million of the total over the period of the Journal’s study. 03 March 2016 — Skyhorse Publishing’s new imprint Hot Books, created to publish investigative books on controversial issues, has indeed touched off controversy with a new book that the Department of Defense refuses to carry in its stores relied upon most heavily by service members. The Burn Pits: The Poisoning of America's Soldiers - buy at Amazon! The book, titled The Burn Pits: The Poisoning of America’s Soldiers, reveals a link between military service in Iraq and Afghanistan and serious illnesses ranging from respiratory complications to brain cancers. The illnesses affect at least 59,000 soldiers including, according to the book, Joe Biden’s son Beau, who died of brain cancer after serving in Iraq. Though one would think a book on this topic would be helpful to service members, Chris Ward, public affairs official for the Defense Department’s Army & Air Force Exchange Service (AAFES), confirmed to me via telephone that they had decided not to carry “The Burn Pits.” Ward would not provide a clear reason for not carrying the book, despite its prominence – it is an Amazon bestseller with favorable reviews in major news media like The Guardian. 28 March 2016 — With the increasing propaganda wars, we thought a reminder of just how naive many Westerners are when it comes to their news-feed. As Arjun Walia, of GlobalResearch.ca, notes, Dr. Udo Ulfkotte went on public television stating that he was forced to publish the works of intelligence agents under his own name, also adding that noncompliance with these orders would result in him losing his job. 16 March 2016 — The New York Times ran a piece about Bernie Sanders Monday 14 March, a sort of left-handed compliment of a legislative profile. It was called "Bernie Sanders Scored Victories for Years Via Legislative Side Doors." I took notice of the piece by Jennifer Steinhauer because I wrote essentially the same article nearly 11 years ago. Mine, called "Four Amendments and a Funeral," was a Rolling Stone feature. Sanders back then was anxious that people know how Congress worked, and also how it didn't work, so he invited me to tag along for weeks to follow the process of a series of amendments he tried (and mostly succeeded) to pass in the House. 5 March 2016 - The New York Times portrays Islam and Muslims more negatively than cancer, cocaine and alcohol, according to a report that studied the newspaper's headlines. Sanders talks with Cenk Uygur of The Young Turks on the role media plays in preventing change. 24 March 2016 — Bernie Sanders was in Los Angeles recently, and what better place to discuss the corporate media and its failings than the entertainment capital of the world. Sanders took a break from campaigning to join Cenk Uygur, host of The Young Turks for a conversation about how major networks fail to inform the public. 31 March 2016 — Entertainer Ronnie Corbett, best known for BBC comedy sketch show The Two Ronnies, has died aged 85. His publicist said: "Ronnie Corbett CBE, one of the nation's best-loved entertainers, passed away this morning, surrounded by his loving family. They have asked that their privacy is respected at this very sad time." Corbett was one of the UK's best-loved comedians and along with Ronnie Barker; their double act was one of the most successful of the 1970s and '80s. 3 March 2016 — A nuclear power propulsion system could propel a spacecraft to Mars in just over a month, a huge step forward from the current 18 months required. Russia might test a nuclear engine as early as 2018, the head of the Rosatom nuclear corporation revealed. 3 March 2016 — The surface of the planet Mars tilted by 20 to 25 degrees 3 to 3.5 billion years ago. This was caused by a massive volcanic structure, the Tharsis volcanic dome (in which is located 13-mile-high Olympus Mons, the highest mountain in the Solar System), the largest structure of its type in the Solar System. Because of its extraordinary mass, it caused the outer layers of Mars (its crust and mantle) to rotate around its core.